Unite Us, a leading care coordination platform integrating healthcare and social services, announced a partnership with Adirondack Health Institute (AHI). AHI is an independent non-profit organization supporting hospitals, physician practices, behavioral health providers, community-based organizations, patients and others to transform health care and improve population health. AHI runs one of the Performing Provider Systems (PPS) under New York State’s Delivery System Reform Incentive Payment (DSRIP) Program and is implementing the Unite Us software to support care coordination and collection of social determinants of health outcomes data among the partners in their five community-wide Population Health Networks in the northern New York/Adirondack region. The partnership between the AHI PPS and Unite Us is part of a larger effort to increase collaboration and interoperability between clinical and social service partners in communities across New York State to address patients’ social determinants of health and reduce avoidable hospital use by 25 percent over five years. The AHI PPS provides coverage that spans the following nine counties in northern New York: Clinton, Essex, Franklin, Hamilton, Warren, and Washington counties and portions of Fulton, Saratoga, and St. Lawrence counties. Through a partnership with the Alliance for Better Health PPS, Unite Us currently powers a network of health and community organizations in Albany, Fulton, Montgomery, Rensselaer, Saratoga, and Schenectady counties to address individuals’ clinical and social needs. With partners in both the Alliance and AHI networks able to connect through Unite Us, this initiative will increase coordination and collaboration between partners working together across all thirteen counties. Collect data including structured patient outcomes to measure the network’s impact, including time-to-service and effectiveness of care. Unite Us is an outcome-focused technology company that builds coordinated care networks connecting health and social service providers together. The company helps systems and communities efficiently deliver care and services by inter-connecting providers around every patient, seamlessly integrating the social determinants of health into patient care. Providers across the continuum can externally refer and track every patient’s total health journey while reporting on all tangible outcomes across a full range of services in a centralized, cohesive, and collaborative ecosystem. This social infrastructure helps communities move beyond legacy resource directories, and transform their ability to measure impact, improve health, and track outcomes at scale. Adirondack Health Institute (AHI) is an independent 501(c)(3) not-for-profit organization licensed under the New York State Public Health Law as an Article 28 Central Services Facility. 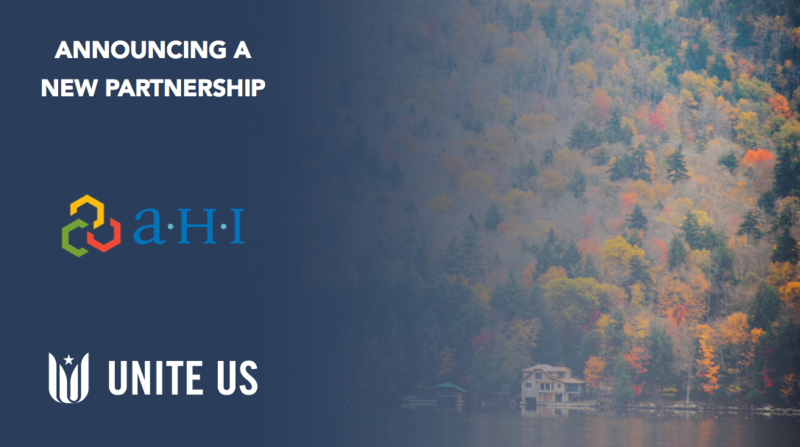 Since 1987, Adirondack Health Institute has supported hospitals, physician practices, behavioral health providers, community-based organizations and others in the region in sharing our vision and mission of transforming health care and improving population health. A joint venture of Adirondack Health, Glens Falls Hospital, Hudson Headwaters Health Network, St. Lawrence Health System, and the University of Vermont Health Network – Champlain Valley Physicians Hospital, AHI serves Clinton, Essex, Franklin, Fulton, Hamilton, Saratoga, St. Lawrence, Warren and Washington counties.